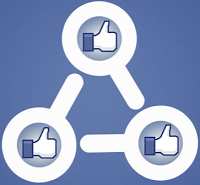 Graph Search on Facebook is a powerful tool to attract customers to meet products and services in social networks. In January it was launched by Facebook to a limited number of users. Marketers are beginning to worry about the impact on their brands that could occur in this connection. Graph Search provides users the ability to make search in such way facing the things that their friends have shared on Facebook. Marketers certainly hope that this will enable them to find potential customers more frequent. But there are also a few wrong beliefs. One of them is the fact that users “like” product because they really like it. They may do so for various reasons, for example, because they are polite or simply by accident. Another view is that it is still impossible to estimate the popularity of the products and services among the customers using Graph Search. This is because the service is still in beta and only a small portion of users have access to the service. At the moment Facebook is implementing indicators such as user comments and status updates in order to collect and evaluate the results. The experts agreed that those companies which want to benefit from working with Graph Search should carve out Facebook local identities but not rely on larger corporate presence. The key to success is to place the content as quickly as possible and also reach the users as quickly as possible. Companies which act in such way will surpass those ones which spend tens of millions of dollars. And you will miss the boat, if you post the same message on your branded Facebook page and on local Facebook pages. Also the ability to see which top searches are made using Graph Search will make it possible for companies to improve their marketing efforts.